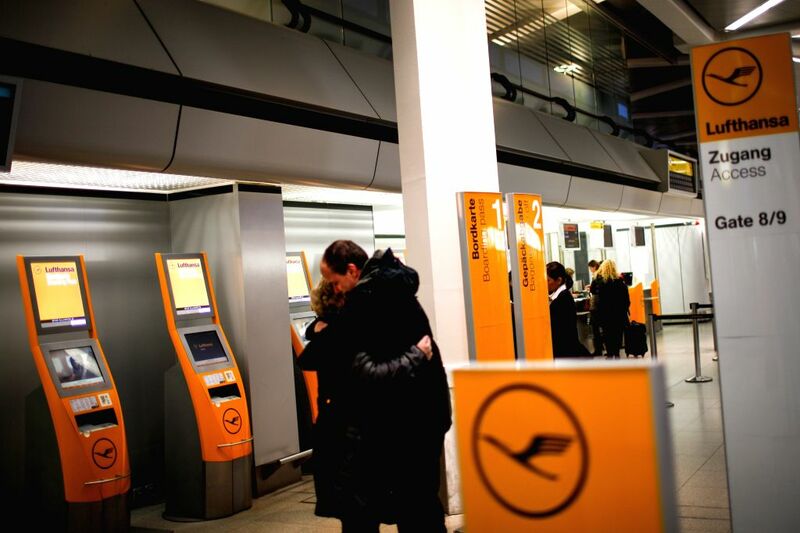 Berlin (Germany): Two passengers hold each other near Lufthansa's check-in desks in Tegel airport, Berlin, Germany, on Dec. 1, 2014. German airline Lufthansa said on Monday that it had canceled nearly half of its scheduled flights on Monday and Tuesday due to a strike by its pilots. 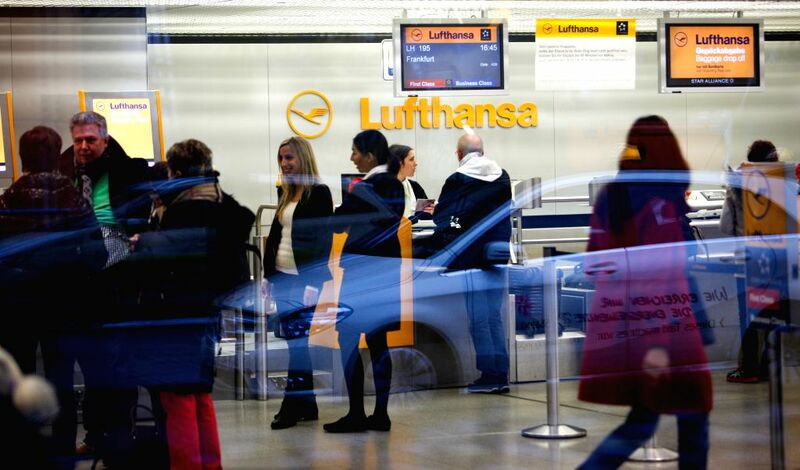 Berlin (Germany): Passengers gather near Lufthansa's check-in desks in Tegel airport, Berlin, Germany, on Dec. 1, 2014.